It was a lazy Saturday afternoon in Tanauan City, Batangas. Just finished having a fight with my girlfriend. How I wish our misunderstandings and arguments would soon end! But that is one thing that I have to live with, I love her so much that I could not afford to lose her. Anyway, instead of emoting at home, I decided to go to one of the premiere tourist spots in Batangas. I boarded my motorbike and off I went to Taal, Batangas. From Manila, the travel time is good for 2 and half hours. There are plenty of bus stations either at Cubao or in Buendia Taft. You have to ride a bus with the signage "Lemery." Fare is around P160.00 (aircon). But today is different, I am not using public transport. I'm onboard my bike! While traversing the road to Taal, there were intermittent episodes of our fight. I simply cannot go over with it..
"I should have chosen shopping or eating instead," I told myself. After 35 minutes, I arrived at San Nicolas, Batangas. 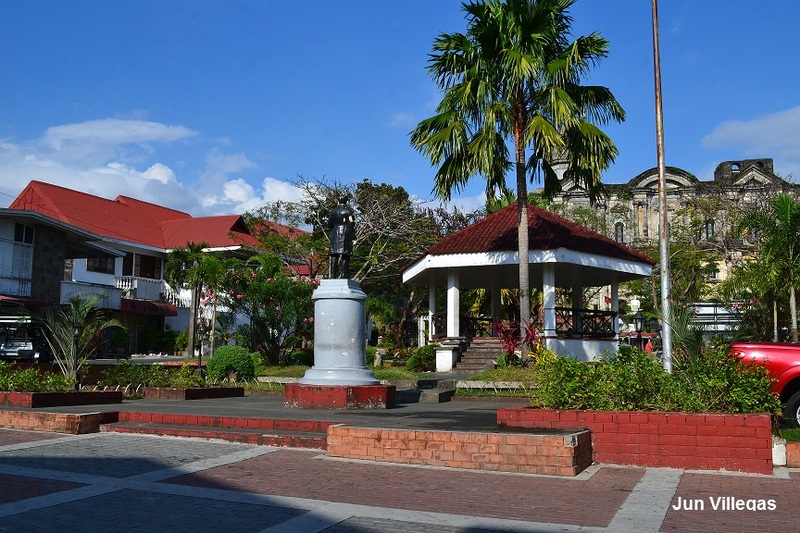 San Nicolas used to be a part of Taal, Batangas. And that's the reason why I went to this place, I had to see for myself the Ruins of the Old Taal Church. 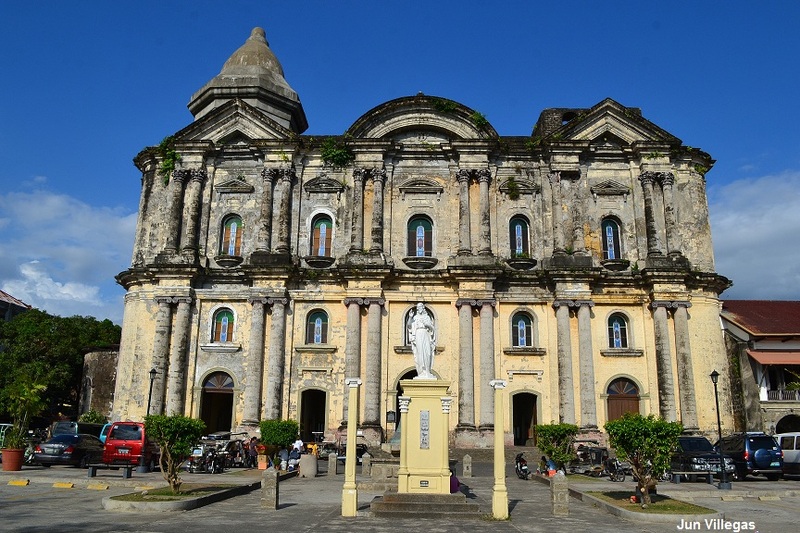 The first Taal Church was built in 1575 under the direction of the Augustinian Friar, Fr. Diego Espina. It was made out of coral block stones. 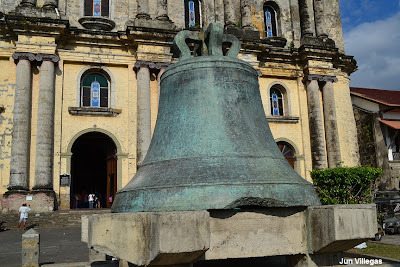 The church crumbled down and was left into ruins when Taal Volcano erupted in 1754. From the ruins, I passed by the town of San Nicolas and cruised around the town for a while. Along the way, I passed by the Pansipit River. This spot could be develop as a a river cruise for a half-hour boat ride to the volcano island, where tourists can trek or ride horses to the 1965 and 1911 craters, and a bird sanctuary. 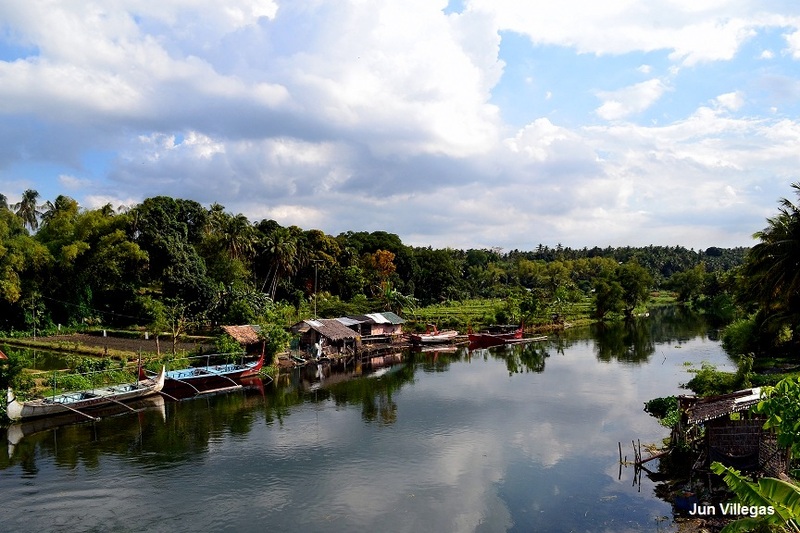 Pansipit River is a natural outlet that drains Taal Lake and Balayan Bay. It is important for its fishery resource and historical significance for the Tagalog Heritage. It is the home of the delicious Maliputo fish. Then, off I went to Taal town proper. But before going to the Taal town proper, I went to Our Lady of Caysasay Church where Juan Maningcad found the ever-dearest statuette of the Virgen de Caysasay. Then, after wishing in the well (that my girlfriend and I would eventually patch-up things and that she would no longer be grouchy and mean to me..), I zoomed my way to my main spot for the day. Basilica de San Martin de Tours is a Minor Basilica in the town of Taal, Batangas, Philippines. It is considered to be the largest church in the Philippines and in Asia, standing 96 metres (315 ft) long and 45 metres (148 ft) wide. 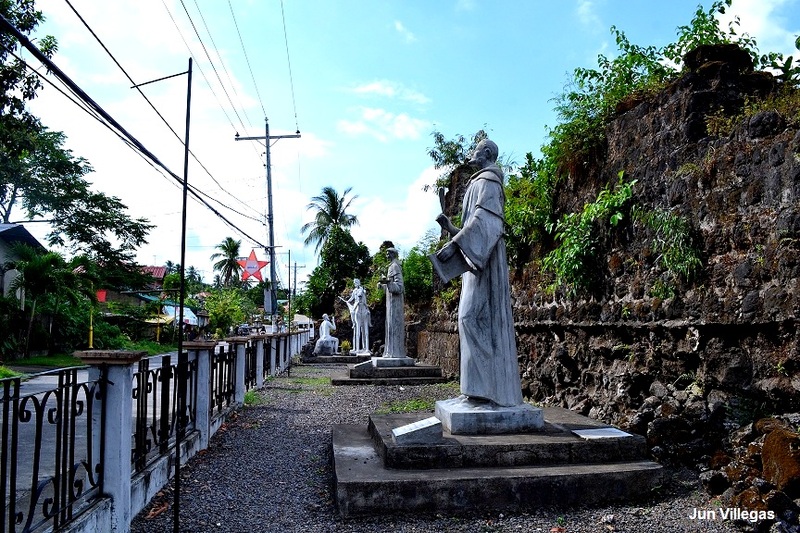 St. Martin of Tours is the patron saint of Taal, whose fiesta is celebrated every November 11 (from Wikepedia). 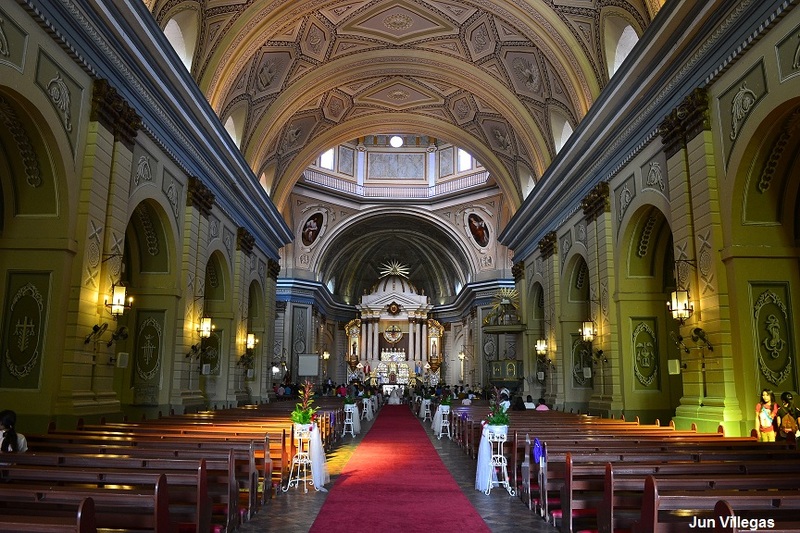 The interior of the Taal Minor Basilica is just fascinating and breathtaking! 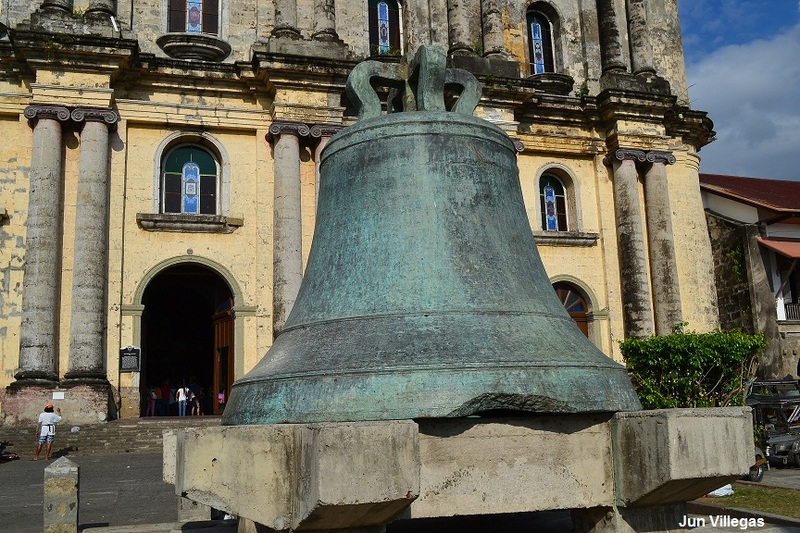 Another important feature of Taal Basilica is its bell which is considered as one of the largest bell in the country. This massive instrument is 19 feet (5.8 m) in circumference at the lip, 9.33 feet (2.84 m) around the crown and 6.42 feet (1.96 m) in height. During the earthquake of 1942, the belfry collapsed and the bell fell from its location damaging and silencing it (from Wikipedia). After staying inside the church, I decided to roam around the city and see the town's park and the heritage houses in Taal. After the city tour, I sped off back to Tanauan City. But along the way I decided to buy some souvenir. The famous "Balisong!" 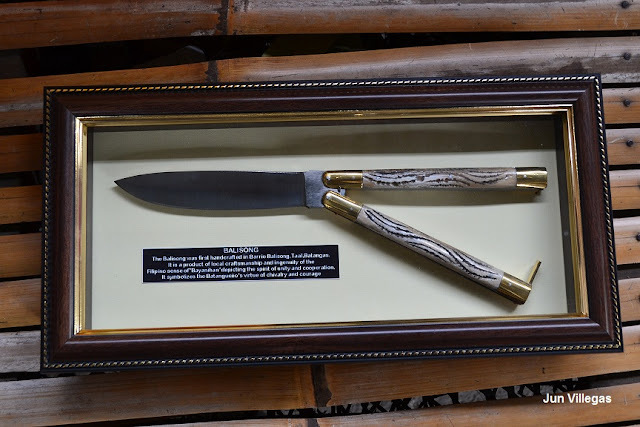 Balisong or the Butterfly knife is a popular weapon in Batangas. First created in Barangay Balisong, Taal, Batangas, it is product of Filipino craftmanship and ingenuity. It symbolizes the Batangueno's chivalry and courage. Do you know of any recommended B&Bs or hotels in Taal? I'm sorry. I don't. Taal is near my hometown and I usually go home before the day is over. I will let you know if I find one.